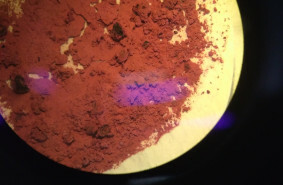 The purpose of the trip was to synthesize two types of electroconductive metal-organic coordination polymers: layered structures admitting exfoliation and highly stable rod MOFs. Prediction of the structures and properties of the materials were carried out using the ToposPro software, its structural and topological databases and the Cambridge Structural Database. The following synthesis conditions were varied to get high quality crystals: the concentration and ratio of reagents, modulating agents, acidity of the medium and temperature. As a result, two new crystalline substances and several more unidentified phases were obtained. The work continues at the Laboratory of Synthesis of New Crystalline Materials of Samara State Technical University.